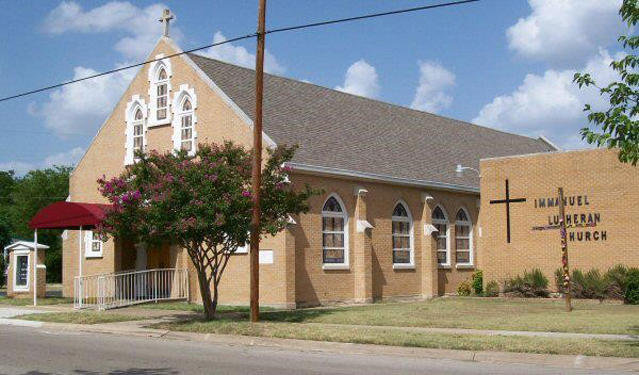 Immanuel Lutheran Church of Killeen has been serving the Killeen/Fort Hood area for over 125 years! It all began in about 1886 when a group of Lutheran Christians in the Killeen area, led by a traveling missionary, Rev. C. Kreutzenstein, met for worship and sharing the sacraments. In 1887 Pastor Henry F. Daude moved to this area from Germany, purchased land south of Killeen and began conducting worship services in private homes, often using his own home for worship and sharing the sacraments. The Lutheran congregation in the area was officially organized in 1889, and this new organization was named Immanuel Lutheran Church. We have seen many changes since the first Group of Lutherans formed a congregation. This is a story told through words and images as we follow the progress of the many changes of our houses of worship since the first frame church was erected in 1892. The first house of worship was a small frame church erected at the site of Immanuel Lutheran Cemetery, land donated by Pastor Daude. 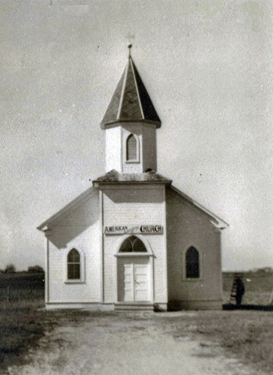 Although it is now well within the city limits on Old FM 440 Rd, back in 1892 the church was located approximately three miles south of the little town of Killeen. Approximately 75 baptized members constituted the congregation at the time. As Immanuel Lutheran increased in membership, it became necessary to build a new and larger sanctuary. The new building is a modified gothic style with block and brick construction. Dedication of the new church was on May 19, 1957. The next building project for the congregation was the construction of a new parsonage in 1966, located on the church property. In 1970 a new educational wing was added to the church sanctuary. This sanctuary, education wing and parsonage is still located at North 4th Street and East Garrison Ave.
Our fourth and current sanctuary was built at Cunningham Road and East Elms Rd. Our first service was our 125th Anniversary Celebration, April 6, 2014, and the dedication was November 2, 2014. In 1986, in the Sesquicentennial Year of the State of Texas, Immanuel’s cemetery received a State historical marker. 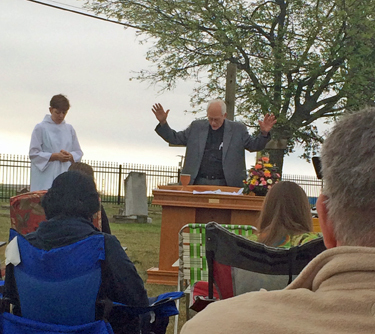 Easter sunrise services are traditionally held at the cemetery site. Pulscher, William, Pastor. 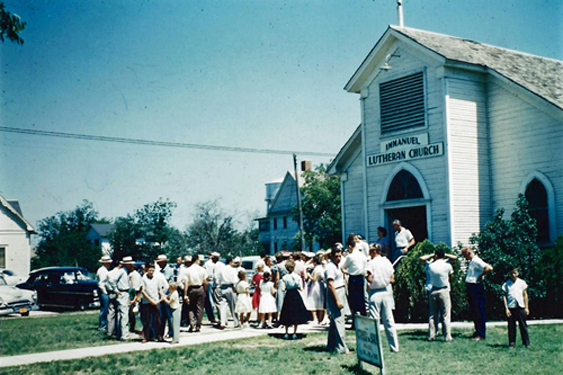 100Th Anniversary Celebration 1889-1989 Immanuel Lutheran Church. 1st ed. Killeen: Immanuel Lutheran Church, 1989. Print. Woodward, Joe, Vicar, and Phyllis Sawyer. The Move; History, Reflections, and Future Focus. 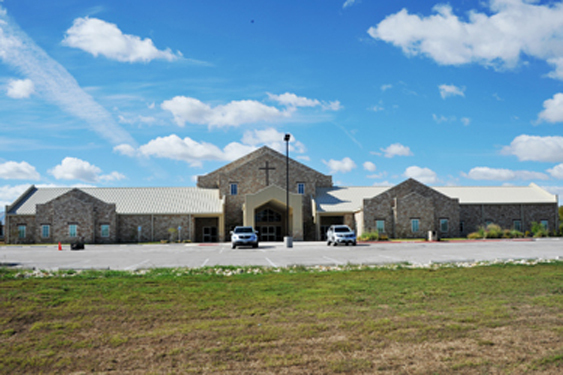 Killeen: Immanuel Lutheran Church, 2013. 1-12. Print. Zischang, Ray, Pastor. 110Th Anniversary Celebration 1889-1999 Immanuel Lutheran Church. 1st ed. Killeen, TX: Immanuel Lutheran Church, 1999. Print.